What are the possible side effects from using Tev Tropin? There is no telling which side effects of Tev Tropin for men or at the same time which side effects of Tev Tropin for women one will experience. However, the important thing to remember is that if you do feel any of the above or anything else, reach out to us immediately. Our advisors are available during all normal business hours for assistance. We pride ourselves on our customer service and how well we tend to our patients’ needs both physically and emotionally. Sometimes patients need a little extra understanding and compassion because losing growth hormones can cause some terrible ailments. These problems can bring a loss of quality of life and some can be so serious that they leave a person feeling as if life has no meaning at all. Depression can take over on its own or as a side effect of another serious ailment with which a person cannot deal. Then on top of that, if a person agrees to participate in hormone replacement therapy and has issues with the medications, things can seem even more hopeless. That is why on the rare occurrence that one does experience negative side effects of Tev Tropin HGH, we will be there for the person and help them to eliminate the problems quickly. There are a few ways to avoid getting Tev Tropin side effects. They involve being a responsible consumer of the HGH medication Tev Tropin. What does that mean? That means following everything that your doctor prescribes for you. Do exactly as your treatment plan suggests and call for help if you need it. Never use a clinic that is not known or popular. They should have a successful track record too with helping patients with their hormone replacement needs. Only work with a HRT clinic that has trained and understanding clinical advisors. The clinic should only work with licensed doctors who are specialists in endocrinology or in a closely related medical field. The clinic should mandate blood testing, a physical exam and a medical history form from every patient. This way the physician will know if the person is dealing with a GH deficiency and if they are in otherwise good health to avoid Tev Tropin side effects. The clinic should have their doctors analyze test results, diagnose patients, write prescriptions and treatment plans and medically supervise treatment. The clinic should ship only 100 percent pure, top quality medications to patients. Advisors should be available during all business hours for assistance with how to prepare medications, how to use medications and how to avoid Tev Tropin side effects. All patients of HRT must be over 30 years old. This is when growth hormones start to deplete in the body and begin to cause physical, emotional, mental and sexual problems. Any time before age 30, most healthy people will be producing enough growth hormone to remain healthy, strong, vibrant and active. If a person under 30 takes growth hormones when their bodies are already producing enough of this chemical compound on its own, this can also lead to negative side effects from the Tev Tropin. It will elevate hormone levels too much and the body will not react favorably. 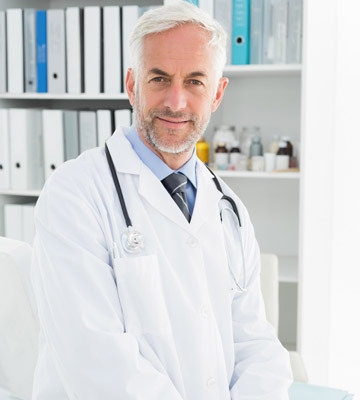 It is never advised to take HGH injections without a doctor’s prescription which means that the professional believes that you need the medication in order to feel your best. The best way to avoid Tev Tropin negative side effects is to only listen to the professionals and never work with an unknown clinic or person who calls themselves a professional when they are not. You will know a qualified hormone replacement therapy clinic or person if they follow the steps above and require everything that we have listed. You only have one mind and one body. Keep them safe by never abusing or misusing HRT medications. In addition, understand that HRT is only for those over 30 with a GH deficiency. Medical supervision must be provided for the safest experience with the best results and no Tev Tropin side effects.